Our Chimi Fiesta started this week and we couldn’t be more excited! 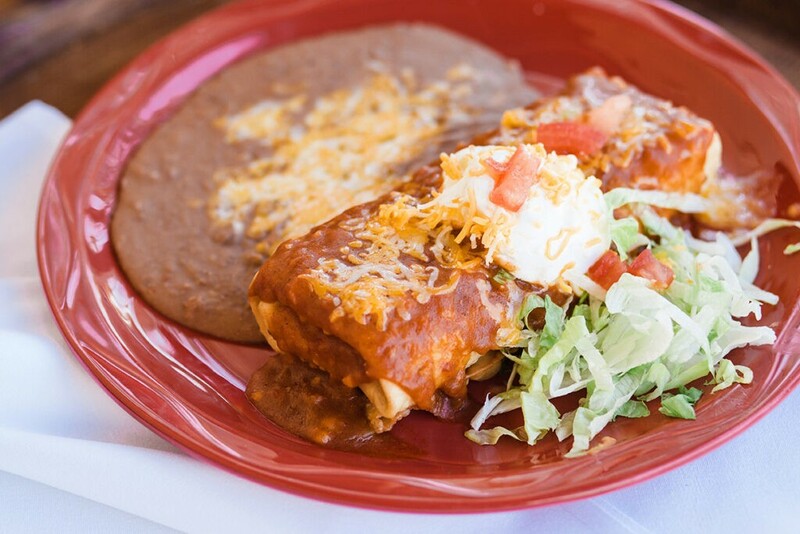 Our annual specialty menu is full of chimichangas, new and classic, that our guests adore. Our speciality Chimi Promo Menu (see below) shares our Chimi Fiesta favorites as well as NEW dishes sure to become favorites for the whole family! Of course, we have a very special relationship with the Chimi. As legend has it, Macayo’s founder, Woody Johnson, invented the Chimichanga after accidentally dropping a meat-filled burrito into a fryer. Naturally, this resulted into a widely popular Mexican food item. One of our main menu choices, the Chimichanga de Macayo, is a favorite of many of our guests. This year, we also have some flavorful new choices such as the Chicken Poblano Chimi, which is drizzled with our special Baja sauce. Make sure to stop by any Macayo’s location for our Chimi specials! Check out our menus below and Happy Chimi Fiesta!